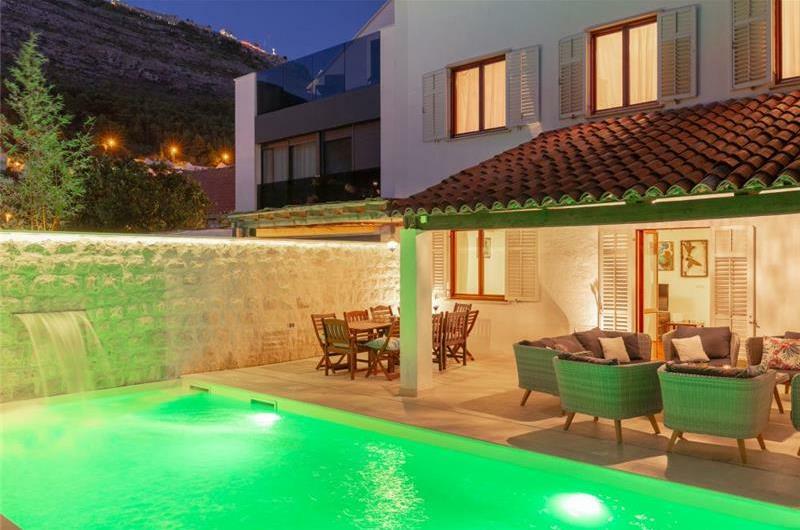 This five bedroom villa with pool is situated in Dubrovnik city between Dubrovnik old town and Lapad Bay. The view from the garden is of Lapad Bay and the sea in the distance. 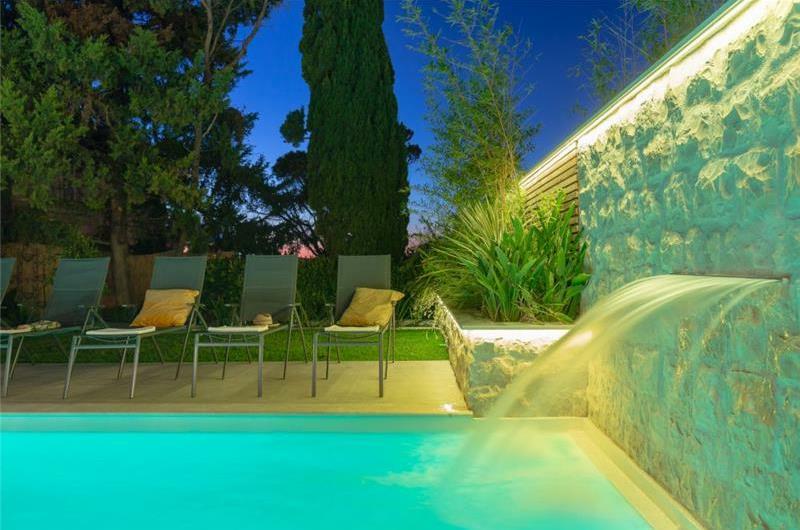 This pretty oasis in the midst of Croatia’s most popular city is hard to beat and would suit those customers wishing to be within easy access of the city and beaches which are all reachable by bus. Car hire is also recommended if you wish to explore further afield. 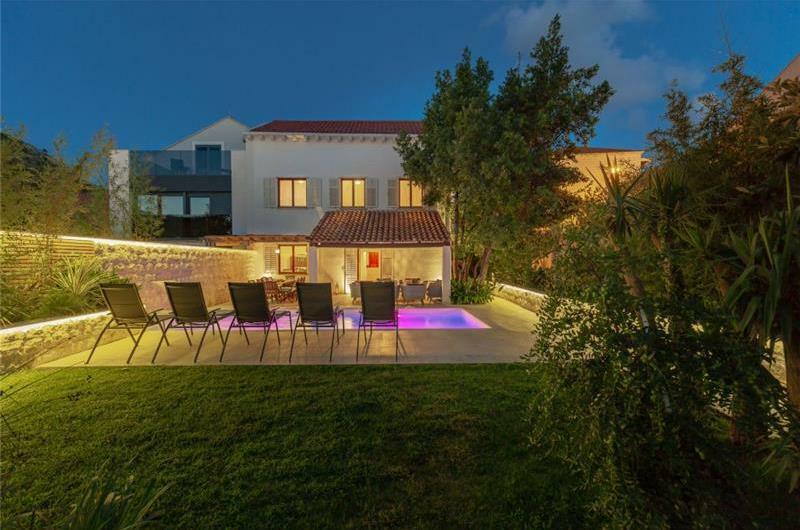 The villa is approached via a pathway up a short flight of stairs into a large garden which features a pond*, a good size pool which sits in a perfect suntrap, and a covered veranda offering outdoor eating facilities for up to 10 persons with BBQ area nearby. 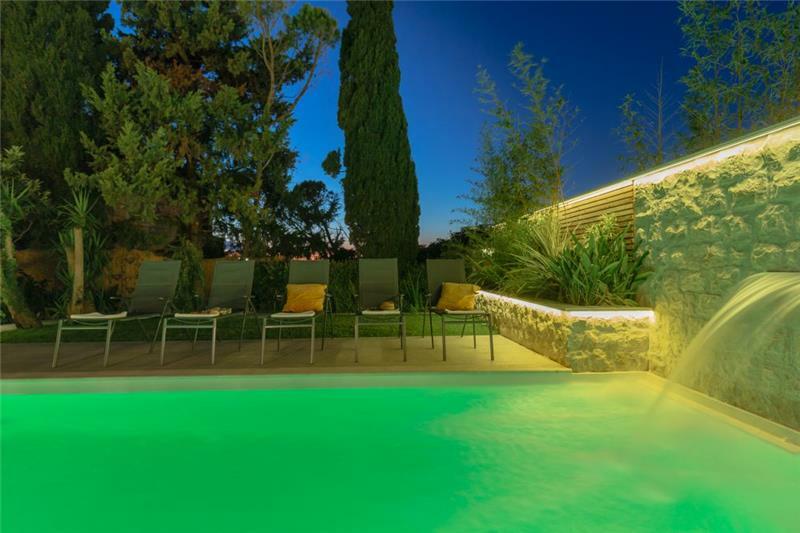 The main entrance of the villa is located on the veranda which guests enter directly into an open plan lounge / diner. There is a separate kitchen which offers access to the dining area via a serving hatch. A corridor from the lounge leads to a short flight of stairs up to a ‘half-way’ first floor level containing one double bedroom with separate shower room and separate toilet. A door in the bedroom leads out onto the rear garden. Also on this level guests will find a utility room and to the rear of the corridor there is a door leading out to the rear garden. The first floor consists of four double bedrooms and two separate shower rooms. 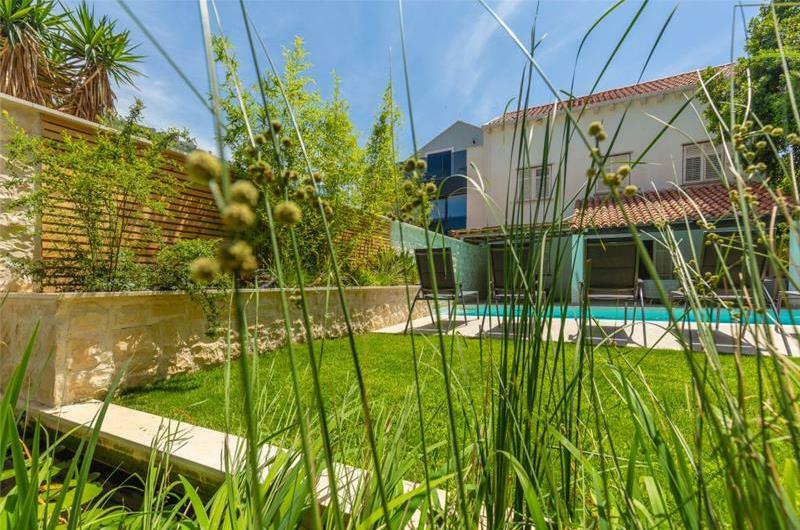 The villa would suit a family/two families traveling together or a group of friends looking for a comfortable villa whose garden definitely is the main attraction. 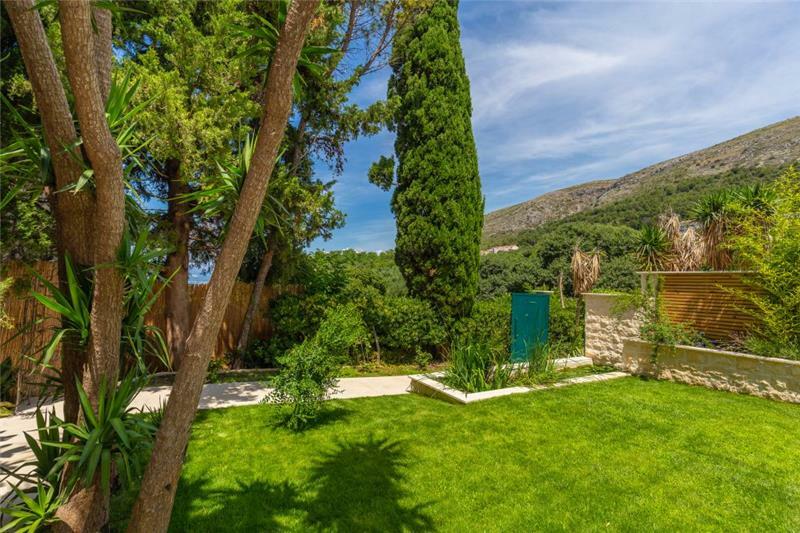 As well as the nearby area of Dubrovnik old town, other recommended attractions within the region include the historical town of Cavtat, excursions to off shore islands such as Mljet and the Elaphite islands as well as day trips/excursions to Montenegro and Mostar. 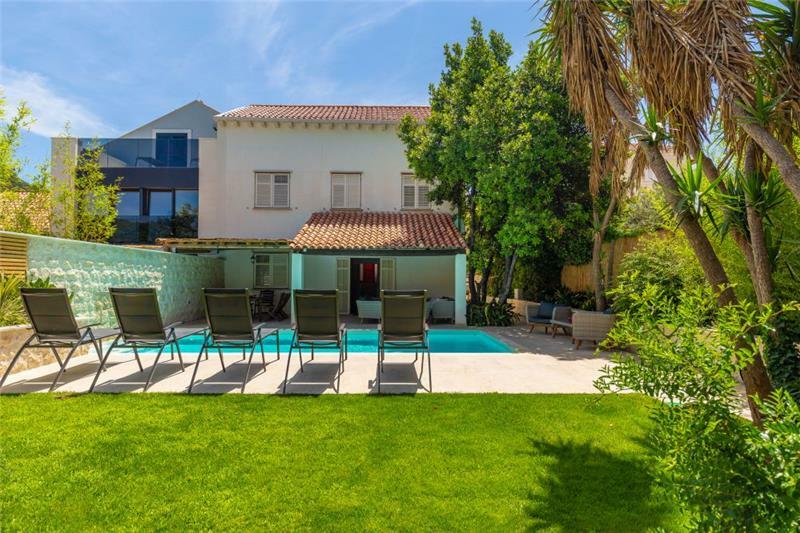 For large families or groups looking to holiday together this villa can be booked with the villa next door (DU180) which sleeps a further 10 people, subject to availability. The price shown in the table below is for 1-10 people, for 11-12 people there is an additional charge and this can be added once in the booking page. *Pond has a warning sign denoting its presence but no fence. Guests are advised to ensure they own safety especially if travelling with young children. Distance to town10 - 15 minute walk to the Old Town. 01 Jan. - 11 Jan.
01 Nov. - 15 Dec.
15 Dec. - 01 Jan.
Owners were extremely friendly and helpful. Would recommend this property to anyone.